A very quick post (I’m in the middle of last minute dissertation writing/editing/panicking so unfortunately this can’t be longer) to bring up a book suggestion for the Autumn. If you’re on the look out for a thought provoking and heartbreaking read, add A Spark of Light by Jodi Picoult to your TBR pile. I just finished it through NetGalley, and wow! If you saw a woman verbally and physically abusing her child while no-one stopped it, what would you do? This terrible dilemma is the basic premise of Rea Frey’s showstopping Not Her Daughter. Most people would perhaps let someone official know, or just stand by and avert their eyes, but Sarah refuses to do that. Frey’s stunning characterisations mean that the businesswoman’s choice doesn’t appear crazy or criminal, just horrifically misguided. When Sarah ‘rescues’ five year old Emma, it seems like it could almost be the right choice. Throughout this novel, as we flip back and forth between the lives of Emma Townsend’s mother and the lady who kidnapped her, the complexity of motherhood is laid bare. I loved the use of third person for Amy, her real mother, and first person for Sarah. It meant that we subconsciously root for the kidnapper, an interesting twist. Amy also has a story of her own to tell though. She’s had a hard life, feels trapped in her marriage, and has made plenty of mistakes of her own. Amy oozes regret and guilt. Her desperate attempt to find excitement through discovering her past lives demonstrated so clearly just how broken she is. The use of ‘before’ and ‘after’ gave us insight into the lives of these women before everything went wrong. Sarah was highly successful, Amy unfulfilled. Sarah had recently left a long term relationship with a man who she had believed to be The One while Amy has a husband she hates. The contrast between them makes the conflict even more striking. Sarah would be the perfect mother for an excitable young girl. But she isn’t — Emma is not her daughter. There were some plot threads I would have liked a little more detail on, such as why Ethan never proposed to Sarah, or what happens to Amy’s husband after the novel ends. By cutting those threads loose, though, Frey has constructed a world which feels just as real as our own. A brilliant read that I devoured in two sittings. Thank you to NetGalley, St Martin’s Press and Rea Frey for the opportunity to read this wonderful novel! This book is my favourite of the year so far and I have a sneaky feeling that it might retain that position until December 31st! It’s incredible. Definitely not what I was expecting when I started reading either. The novel follows a prince and a siren as they try and achieve their competing goals: the death of the prince and the death of the siren. Of course, as they get to know each other, things start to change. One of the best aspects of this book was its dual narrative, although some of the changes in narrator were slightly confusing. Usually books with two narrators put me off but this time, though Lira was my favourite, I enjoyed both sides to the story. Every other mermaid/siren book I’ve read has turned the stuff of legend into weak-willed characters. Not To Kill A Kingdom. Even when she is forced onto land, Lira can certainly not be called weak. The depth of the characterisation in this book was wonderful. I would have happily read hundreds of pages more about their journey together. For me, the one weakness of this book lay also in its strengths. The author knew when the story was told and the book ends accordingly. It was almost a little too abrupt, the ending, as I wanted to know more about what comes next. How all of the characters react to new situations and changes to their lives. Although, of course, leaving you wanting more is a sign of a very good book indeed! Having flown through this book in an evening, I’m excited to read this author’s next books. Thank you to NetGalley and Bonnier Zaffre for the opportunity to read To Kill A Kingdom. Wow. This one was a real shocker for me. I bought it on a whim, after realising that out of the mountain of books I’ve bought this year there wasn’t really anything I was desperate to read. It was chosen because it seemed like the least ‘middle class family in crisis’ crime novel, as I’m really sick of those, and because it was just £3.85 and had a Sunday Times bestseller announcement on the front. This book really impressed me because every twist and turn was perfectly orchestrated and while it was possible to guess what was coming around half way through, the way it was put together kept you turning the pages. I started reading it in the middle of the afternoon yesterday and by the time I went to bed — much later than I would have liked to — it was done. It’s been a while without reading for fun, once again, and that’s been weird. I decided to restart my reading adventures with a book I first bought (hardback, more difficult for my hands/wrists, so never got around to it) way back when it first came out. I’d read all of the earlier books in the series, bar the one about Jacqueta, and was eager to give this one a go. I’d loved The White Queen on TV, as well as the many fanvids and fanfictio ns about the series, so wanted to read The White Princess before that show comes around next month. I found this one a little slower to get into than the others, perhaps because it is edging closer to a historical period I know things about. I’ve studied Henry VII at university but have always had an interest in English history from Henry VIII onwards, so I had a barebones idea of how this was going to go even before I started reading. It does take away the thrill a little bit, especially when it is written in straightforward prose rather than the ingenious innovation of my beloved Wolf Hall! I am very impressed though how the author jumps a little forward in history each time through a different character’s eyes. I started reading Three Sisters Three Queens just before reading this and am going to give it a fresh go having read Elizabeth of York’s story (I found the main character of that one a little whiny in the early chapters, understandable given her age). The development of Elizabeth’s relationship with Henry over time was brilliant and the threading in of the curse that has plagued the series since The White Queen was great, especially since it provides an answer of sorts to the question of who — in this fictional universe at least — is responsible for the death of the Princes in the Tower. 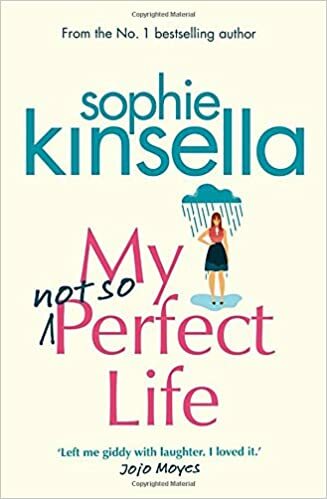 The ending was perfect, as I came closer to the end I wondered if the book was going to deal with the final heartbreak right towards the end of Elizabeth’s life. As far as I remember, It didn’t. That wasn’t the last scene. And I loved the book for that.